Perhaps this is a stroke of marketing genius or maybe some luck is involved but this recording has success written all over it. Yo-Yo Ma is without a doubt one of the finest musicians of our time. The LA Philharmonic is a world class orchestra with a world class conductor at the helm. And though this is but the first encounter by this reviewer with Salonen’s music this work suggests that his compositional skills are at a similar level. There is but one work on this disc, a large and very listenable cello concerto which dates from 2016. While the work is clearly modern in its style overall it leans toward romantic and impressionistic textures. Using his conductor’s mastery of the orchestra Salonen traverses territory that embraces the sound of composers such as Ives, Messiaen, Debussy, Barber, etc. Listeners will find familiar gestures but this work is not at all derivative. Rather it ultimately sounds like a complex but very connected improvisation between the soloist and the orchestra neither of whom have easy tasks (though they all play flawlessly). The rather brief program booklet is basically a program note by the composer/conductor and it is most lucid. It might have been nice to hear as well from Mr. Ma but that is aminor criticism. This is a gorgeous piece given a characteristically powerful performance and this writer was simply enthralled from beginning to end. Now I guess it’s time to look into more of this man’s music. 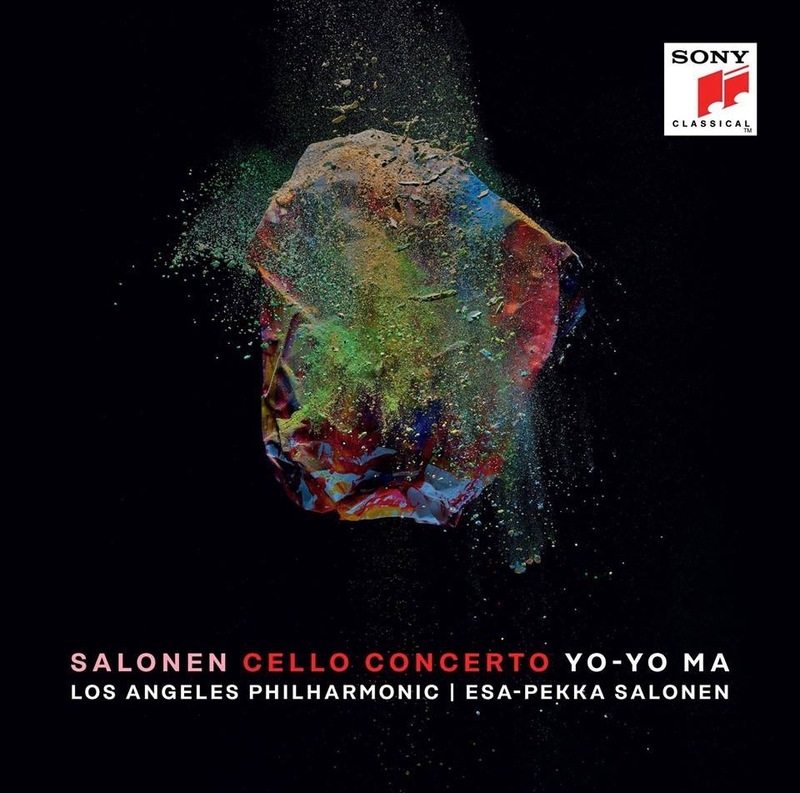 This entry was posted in 21st century, alternate tunings, classical music, composers, conductors, extended instrumental techniques and tagged Cello Concerto, Esa-Pekka Salonen, LA Philharmonic, Yo Yo Ma.